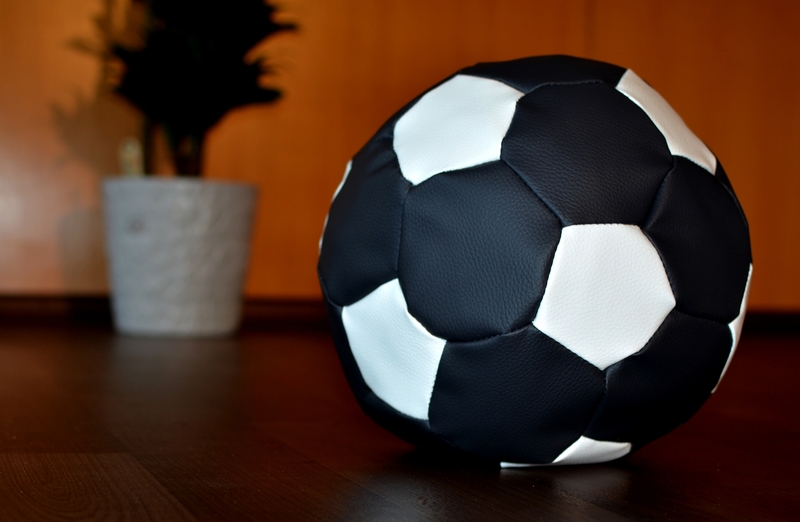 The football is made of imitation leather and filled with cotton batting. 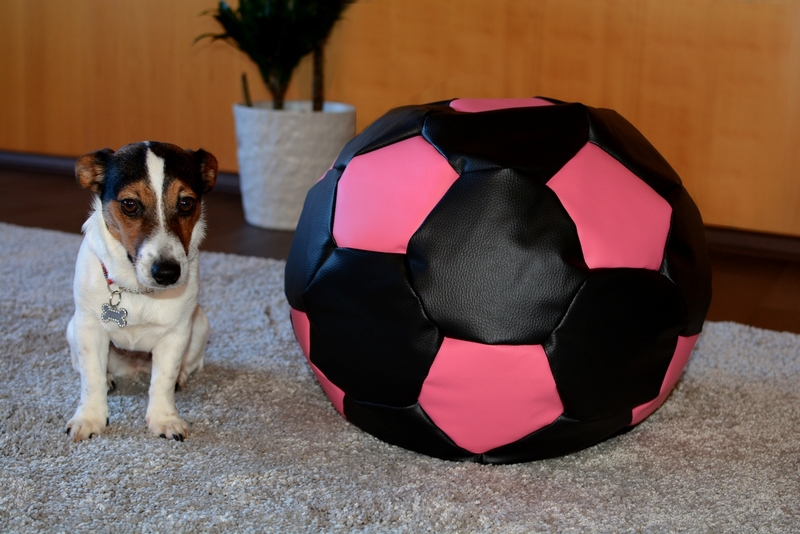 The diameter of the ball is around 30cm. It suits well for small children to play with and sit on. We offer a variety of different colors.